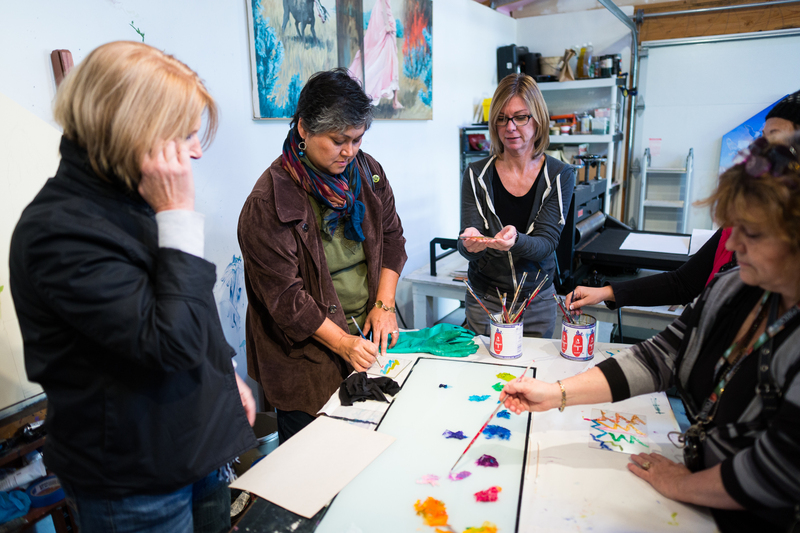 Marit Berg gives a hands-on demonstration during the Tacoma Studio Tour. Photo property of the City of Tacoma. Everything people love about Tacoma’s annual arts month will stay the same, with the exception of two things. Starting this year, Tacoma will celebrate in October, not November. And Art at Work Month will now be known as Tacoma Arts Month. In response to community feedback, the change in timing will better coincide with performing arts season openings, national Arts & Humanities Month, and avoid holiday scheduling conflicts and inclement weather associated with November. The Tacoma Arts Commission will continue to produce a free public arts month celebration event; the annual AMOCAT Arts Awards; and the Tacoma Studio Tour (scheduled for Oct. 11 and 12, 2014). They will also continue to provide an extensive online calendar of community-hosted events, exhibits and workshops. 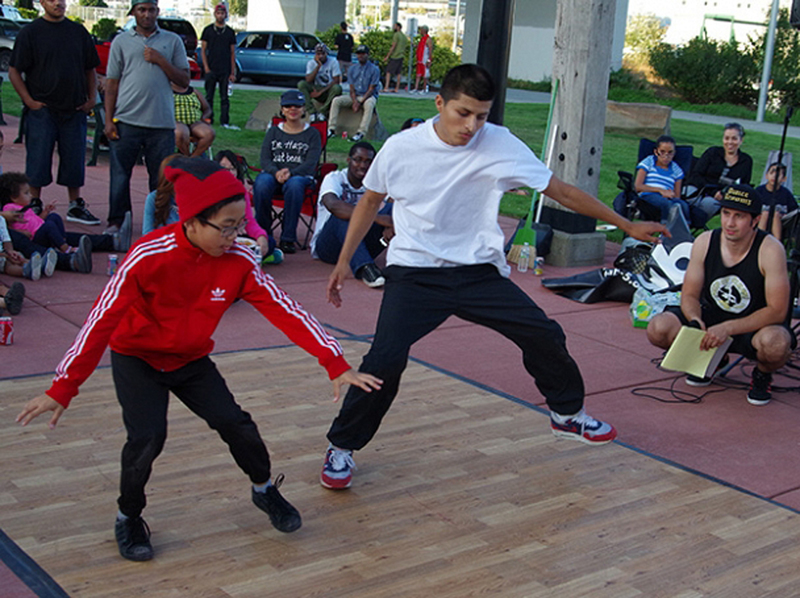 Organizations, businesses and individuals producing arts and culture activities in Tacoma in October are encouraged to submit their event information for free inclusion in the calendar of events. To receive direct notification when Tacoma Arts Month activity submissions are being accepted, please contact Naomi Strom-Avila at nstrom-avila@cityoftacoma.org or (253) 591-5191. Started in 2002, Tacoma Arts Month is an annual month-long celebration of the arts in Tacoma. It provides an invitation to the greater community to sample hundreds of arts and culture programs happening throughout the city including music, dance and theater performances; visual art exhibits; literary readings; lectures; workshops; film screenings and cultural events. 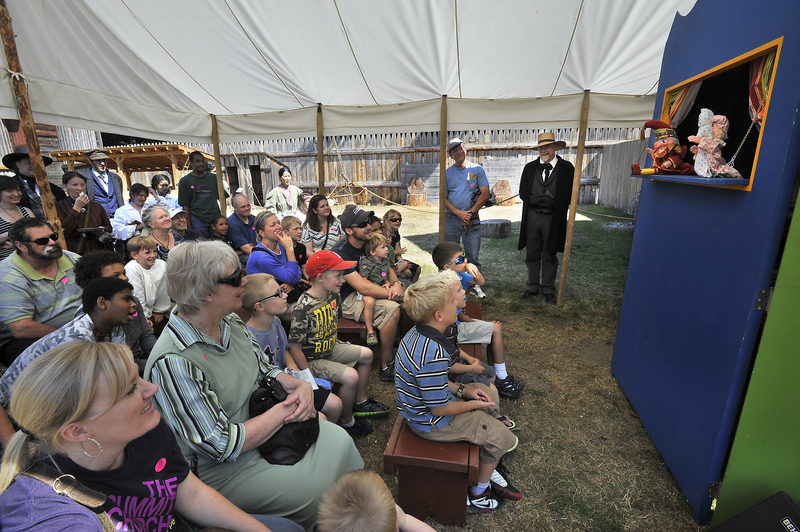 All events are open to the public and many activities are free. The Tacoma Arts Commission voted on May 13, 2013 to change the timing of the event to the month of October. They voted again on Jan. 13, 2014 to rename the month to Tacoma Arts Month. The City of Tacoma invites artists and/or artist teams who reside in Washington state’s Pierce, Kitsap or Thurston Counties to submit qualifications for a $10,000 commission to paint a site-responsive mural that reflects the history and/or architecture of the bridge and/or area on the concrete wall of the stormwater collection system underneath the western side of Tacoma’s Murray Morgan Bridge. Artist(s) must reside in the South Sound, defined as the following counties of Washington State: Pierce, Kitsap, or Thurston. Applicant may apply as a single artist or as an artist team. Applicant must be professional artist, 18 years or older and not a full-time student. Check out the prospectus for full details, eligibility requirements, and how to apply. The stormwater collection system is located under the west side of the Murray Morgan Bridge at Dock Street and S. 11th Street. The Murray Morgan Bridge, also known as the 11th Street Bridge, is a vertical-lift bridge that connects downtown Tacoma with the tideflats, spanning the Thea Foss Waterway. Designed for the City of Tacoma in 1911 by noted bridge engineering firm Waddell & Harrington, the bridge originally opened on Feb. 15, 1913. The structure was unique for lift bridges due to its sloping grade, the high clearance above the water, and the truss between the towers that was designed to carry a water line to the Port. During the 1930s the bridge became a demonstration center for longshoremen and lumber mill workers seeking union recognition and better wages as well as working conditions. The Washington State Department of Transportation acquired the bridge in 1957 when 11th Street became State Route 509. Then, in 1982, the bridge was placed in the National Register of Historic Places both because of its designers, Waddell and Harrington of Kansas City, and because it was a unique and early example of a vertical lift bridge. In 1997, the bridge was named after local author, historian, and journalist Murray Morgan who worked on his book, Skid Road, while working as a tender in the operator’s house on top of the bridge in the 1950s. After the construction of the new State Route 509 in 1997, the bridge was heading towards demolition until a group of citizens called Save Our Bridge convinced City officials and the State in 2003 to save the bridge. In 2007, the bridge closed to traffic due to safety concerns and general wear-and-tear the bridge had suffered in its near 100-year lifespan. Then, in 2010, ownership of the bridge was returned to the City and the City began planning the rehabilitation of the bridge. On February 15, 2013, the 100-year anniversary of the bridge’s original opening, the Murray Morgan Bridge was rededicated. 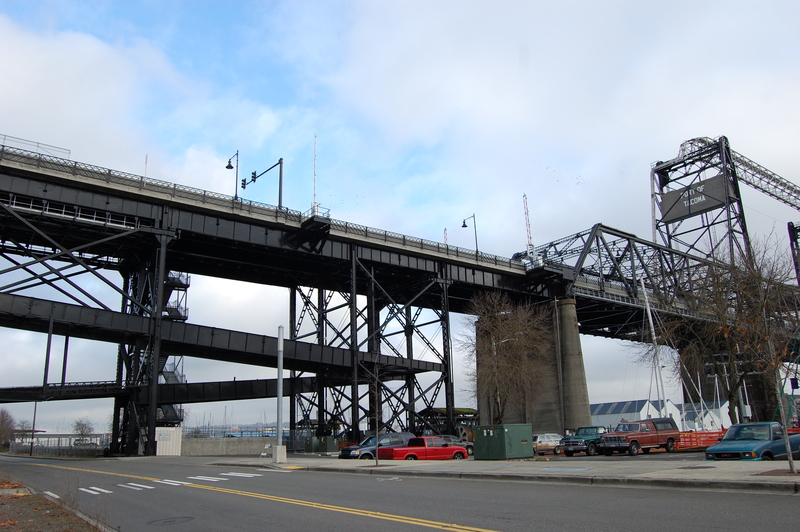 The $57 million rehabilitation of the bridge included a new deck, steel repairs and replacement, new mechanical and electrical systems to raise and lower the lift span, a new elevator and stairs to connect downtown to the west side of the Foss Waterway, and a new coat of black paint, the original color of the bridge. Original gears that were used to raise and lower the bridge are mounted on top of the west wall of the stormwater collection system. The original capstan, which was used to manually raise and lower the lift span during power outages, is mounted in front of the west wall of the stormwater collection system. Michael Partington. Photo courtesy of Classical Tuesdays in Old Town. Classical Tuesdays in Old Town is excited to feature Michael Partington, one of the most engaging of the new generation of musicians. Praised by Classical Guitar Magazine for his “lyricism, intensity and clear technical command,” this award-winning British guitarist has performed internationally to critical praise. 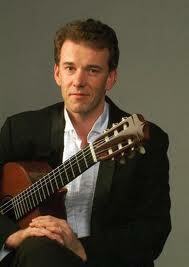 Michael has a charming stage manner and audiences enjoy his innate rhythm and varied, warm tone. The concert will have a Spanish flavor including music by De Falla, Turina and Albeniz. Join us this Tuesday! All ages are welcome. More information call (253) 752-2135. 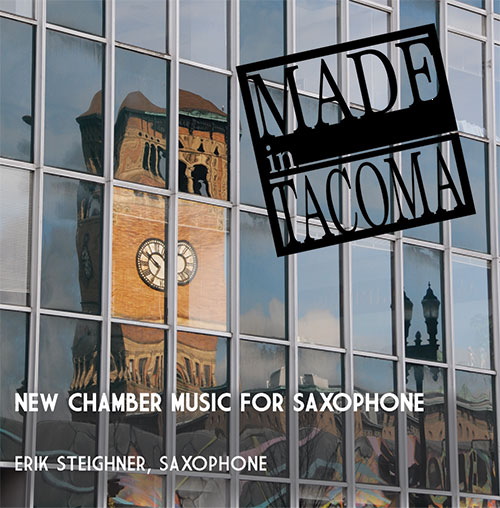 Tacoma’s Alea Publishing & Recording announces the January 11, 2014 release of a new CD recording, ‘Made in Tacoma: New Chamber Music for Saxophone,’ featuring local saxophonist Erik Steighner. A free concert open to the public will take place at the Museum of Glass at 1pm on Saturday, January 11. 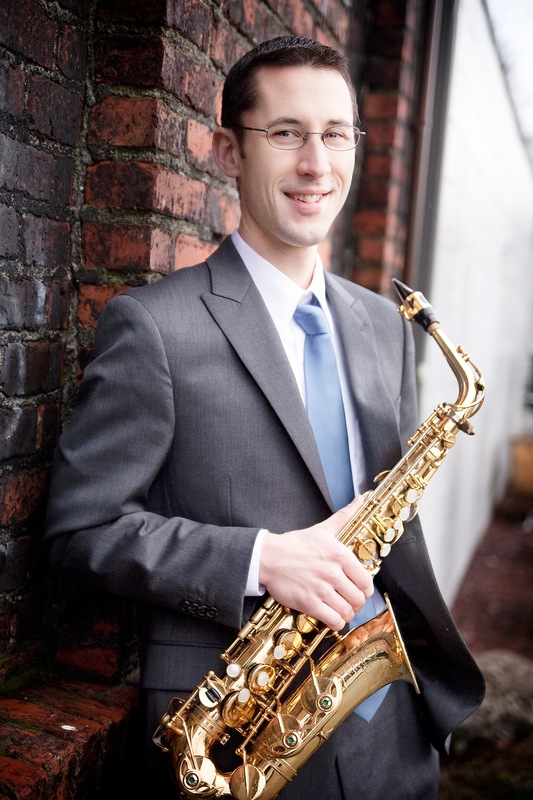 The program will feature Steighner along with fellow saxophonists Evan Smith and Fred Winkler, and will include both works from the CD (by Greg Youtz, Jeff Tecca, and Erik Steighner) as well as other pieces from the saxophone repertoire (by Paul Hindemith, Barry Cockcroft, and Allan Blank). Performers: Erik Steighner: Soprano, Alto, Tenor, and Baritone Saxophones; Karen Ganz: Piano; Zachary Lyman: Trumpet; Francine Peterson: Bassoon; Evan Smith: Alto Saxophone; Miho Takekawa: Percussion; Fred Winkler: Soprano Saxophone; Brian Yarkosky: Percussion. Composers: Gregory Youtz, Deborah Anderson, Robert Hutchinson, Jeff Tecca, Clement Reid, Erik Steighner.